Don’t Miss out! Attend the Quality 4.0 Summit on disruption, innovation, and change; located in Dallas, Texas on November 13th & 14th.  The ASQ Quality 4.0 Summit is your best source for getting up to speed on disruptive technologies like artificial intelligence, big data, robotics, and more. Learn more and register today by visiting the Quality 4.0 Summit event page. ARMATURE’s quality management software for manufacturing helps companies around the world manage their complex quality processes with smart software solutions that provide total visibility into the supplier network while ensuring compliance with industry standards. It’s easy to track and manage every audit with ARMATURE’s suite of web-based tools. Build an audit team, capture issues, log data, track non-conformances, generate reports, and communicate effectively and efficiently with your suppliers to manage risk and ensure excellence across your supply chain. Good data is key to assessing risk and protecting your bottom line. Our solution captures the most important quality data in your overall landscape: the audit data. Audit data allows you to evaluate safety and manufacturing processes against standards, and gives you direct control in your interactions with suppliers. In the aerospace industry, there is absolutely no room for error. That’s why you need quality management tools that can ensure compliance with every regulatory requirement, up and down the supply chain. ARMATURE gives you total visibility into your supplier network while making it easy to track and manage the audit process, online. Auto manufacturers, is your quality process as strong as it could be? In the face of tough standards, an innovative quality management solution is the best way to manage risk and ensure compliance across your supplier network. ARMATURE’s solution offers intuitive and intelligent features that make it easier for you to do your complicated job, well. Medical device manufacturers walk a fine line—they need to meet the strict demands of government regulations while keeping costs down in order to produce high quality medical devices in a sustainable manner. A smart quality process, supported by ARMATURE's sophisticated software, is the best way to ensure compliance and total visibility into your supplier network. Pharmaceutical manufacturers understand the value of an effective quality process better than anyone. Between FDA regulations, clinical trials, and the high-risk nature of the industry, pharmaceutical professionals face constant challenges. ARMATURE can help, with tools that provide end-to-end visibility into your supplier network, making quality audits more streamlined and efficient.